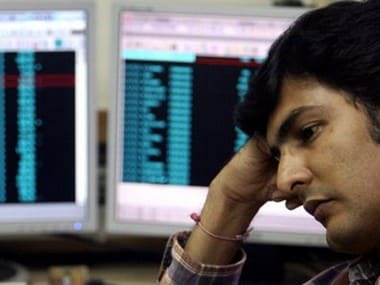 Mumbai: Market benchmark BSE Sensex plunged by 464 points or 1.33 percent to close at 34,315.63 points due to losses in energy, IT and financial stocks on liquidity worries even as RBI eases norms to improve fund flows. The broader NSE Nifty too fell around 150 points to crack below the 10,400-mark as 30 of its constituents declined. The 50-share NSE Nifty plunged 149.50 points, or 1.43 percent, to end at 10,303.55. Index major Reliance Industries plunged around 7 percent in day trade despite record earnings in the second quarter. The stock later closed down by 4.11 percent on BSE on concerns about decline in its gross refining margins. It earned USD 9.5 on turning every barrel of crude oil into fuel as compared to a gross refining margin of USD 12 per barrel. The GRM was also lower than USD 10.5 per barrel earning in the first quarter. Housing finance major HDFC declined 4.32 percent on liquidity concerns even as the RBI announced steps to improve fund flows to NBFCs. The RBI permitted banks to use government securities equal to their incremental outstanding credit to NBFCs, over and above their outstanding credit to them as on 19 October, to be used to meet liquidity coverage ratio requirements. It also increased single borrower exposure limit to non-infra NBFCs to 15 percent from 10 percent. "Markets were volatile on concerns of slowing world economy due to lingering trade wars between the US & China. 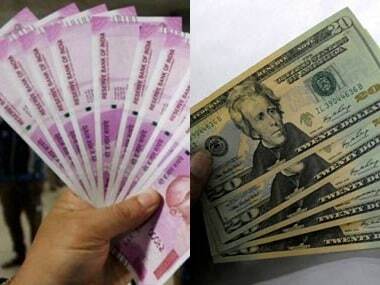 The FOMC minutes released on Wednesday, indicated that US policy makers will go-ahead with rate hike as early as December," said Vinod Nair, Head Of Research at Geojit Financial Services. "RIL reported its quarterly numbers which reflected decline in refining margins. Infosys numbers were good though margins were a disappointment," Sanjeev Zarbade, Vice President Research , Kotak Securities said. Yes Bank was the worst performer in the Sensex pack, losing a whopping 6.06 percent, after the RBI refused to grant more time to its long serving CEO and MD Rana Kapoor and asked the private sector lender to appoint his successor latest by 1 February, 2019. Indiabulls Housing Finance, Dewan Housing Finance, IL&FS Engineering and Construction dropped up to 16.55 percent. IT stocks declined due to concerns over tightening H1-B visa norms. Infosys dropped 3.11 percent and TCS by close to 1 percent. Mindtree plunged by over 16 percent as it highlighted "some challenges in the global business environment". Stocks of automakers too faced the heat on fears of lower sale this festive season due to prevailing lower liquidity from NBFCs. Coal India 1.23 percent, NTPC 0.55 percent, TCS 0.55 percent, HDFC Bank 0.46 percent, Bharti Airtel 0.43 percent, Wipro 0.29 percent, L&T 0.26 percent, Tata Steel 0.19 per, PowerGrid 0.16 percet and SBI 0.11 percent. 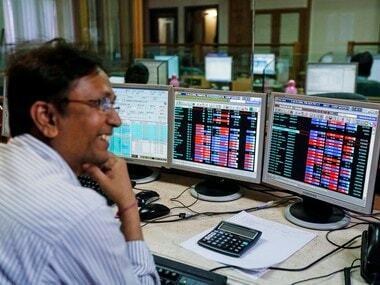 Among the winners, Sun Pharma was the top performer, climbing 2.52 percent, followed by Kotak Bank 1.74 percent. Vedanta Ltd also rose 1.51 percent, Adani Ports 1.18 percent, ITC Ltd 0.73 percent and ICICI Bank 0.06 percent. 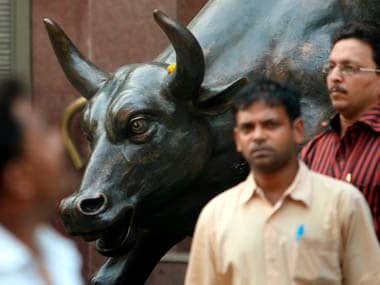 Sector-wise, the BSE IT emerged worst performer by crashing 2.60 percent, followed by teck (2.41 percent), Auto 1.42 percent, oil&gas (0.76 percent), infrastrucgure 0.75 percent, consumer durables (0.68 percent), capital goods (0.64 percent), healthcare (0.62 percent), power (0.54 percent), realty (0.45 percent), bankex (0.43 percent) and PSU (0.16 percent). In the broader markets, the small-cap index fell 1.72 percent and the mid-cap gauge shed 0.22 percent. The benchmark indices closed with losses for the week. 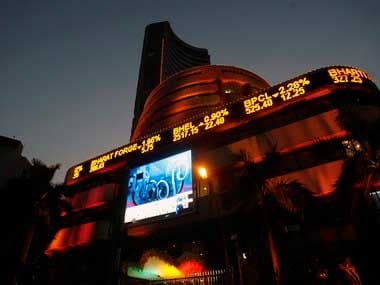 The Sensex lost 417.95 points, while the NSE Nifty fell 168.95 points, during the period. Cues from other Asian markets were mixed with early losses were erased as China shares rebounded in afternoon trade after government statements sought to bolster market confidence. Elsewhere in Asia, Japan's Nikkei fell 0.56 percent, Hong Kong's Hang Seng shed 0.38 percent, while Taiwandown 0.46 percent. Shanghai Com;posiote Index, rebounded to end 2.58 percent higher. down 0.08 percent in late morning deals.